We don’t just fiddle with Angular. We make it central for creating stunning web and mobile UIs. We build powerful front-ends for cross-platform apps that show their splendor on both web and native desktop. We use a range of handy tools and frameworks like NativeScript to build mobile web and native mobile apps with a shared codebase for more efficiency. 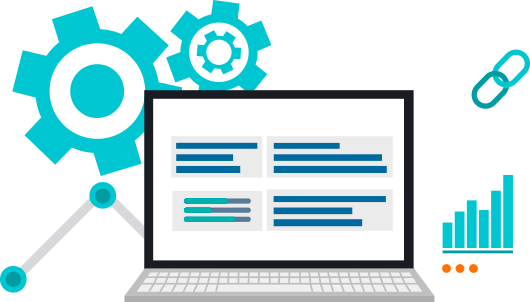 We take your legacy AngularJS and Angular 2+ apps to the tech forefront by migrating them to the framework’s latest versions or porting them to a stronger platform. We bring out our long-standing back-end development expertise to develop and connect APIs that work seamlessly with Angular-based front-ends. We can either wrap up Angular development projects with these services, or deliver stand-alone maintenance and support to keep your Angular apps shining at all times. A range of UI libraries, reusable tools, declarative templates and code samples to pick. Code reusability for efficient cross-platform app development. Ideal for collaboration between teams of developers. Ultimate speed – the most you can demand from an app. Superb maintainability to enable bug fixing earlier in the development process. Transparent versioning so that you can always plan and prepare for the future. Why Hire Angular Developers from Mitrix? It all starts with just your request in our mailbox, and in less than 12 hours we’ll get back to discuss the details. Through CV reviews, test tasks and interviews, we make sure your project and our team is a match made in heaven. We’ll study your project documentation and review the code before getting down to our Angular wizardry. We’ll keep up clear communication and status reporting throughout the project while bringing your Angular UI to life.